The round brilliant cut is the most versatile of diamond and if cut correctly will give off more fire and brilliance than any other shaped. 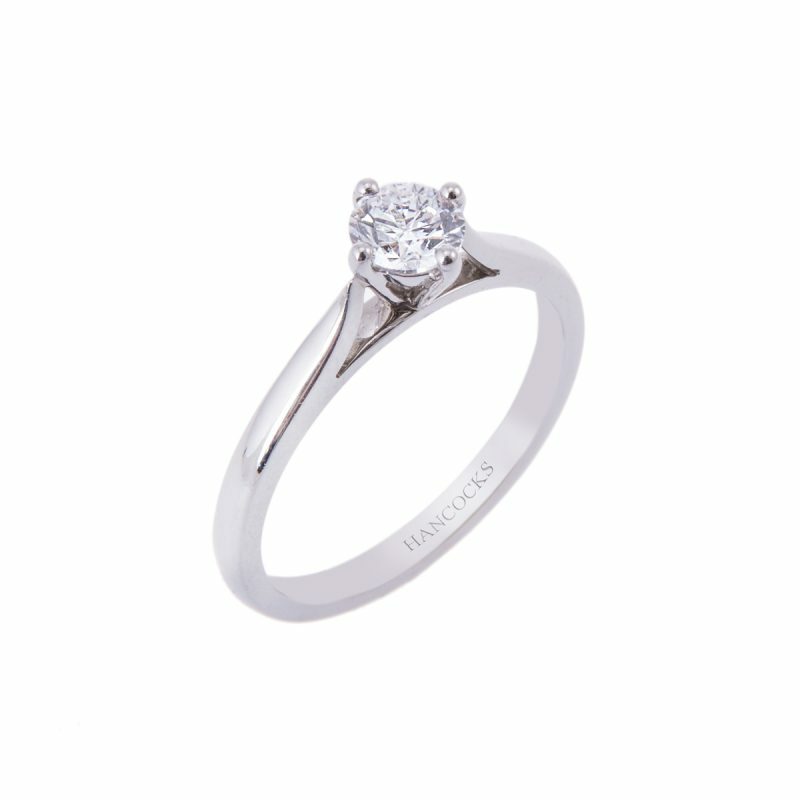 Its enduring appeal make it a perfect choice for an engagement ring. 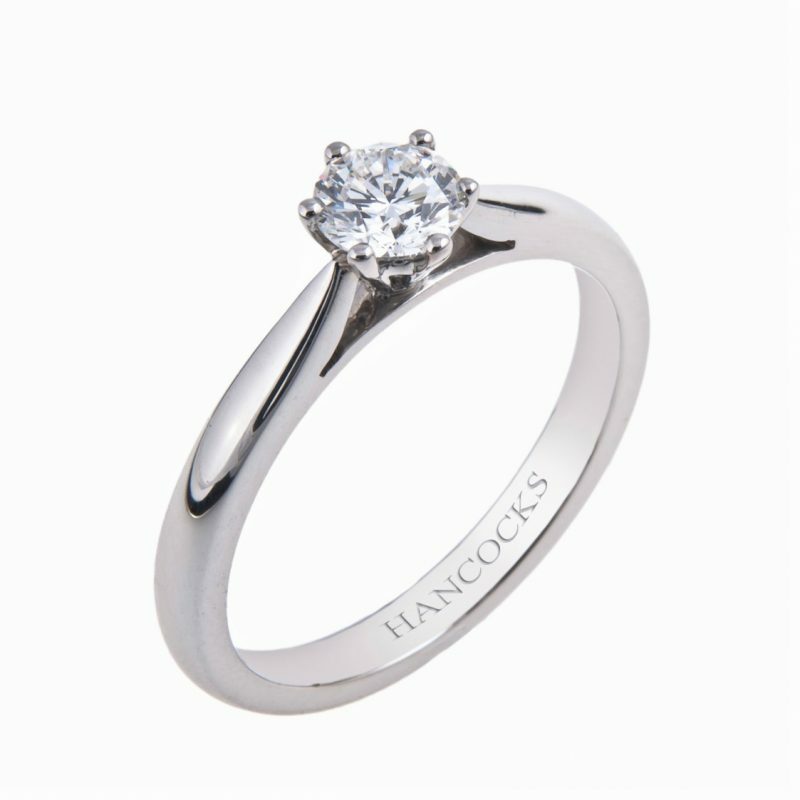 Hancocks have mounted this 0.35ct, GIA certificated rare white diamond in a 6-claw platinum setting, further enhanced its shape. 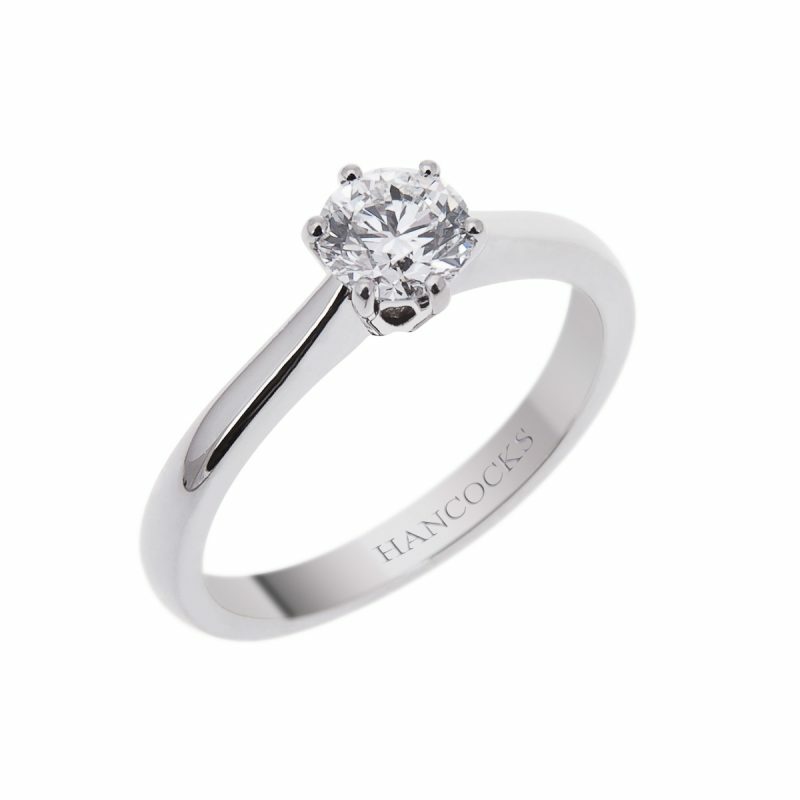 A perfect fit with any of our wedding bands.